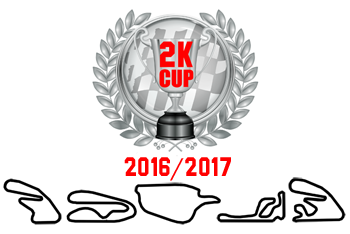 Welcome to a new year of 2KCUP, its been almost 5 years since we started this thing. I would like to start off the new year by suggesting everyone has a thought about their safety gear and if its time for a refresh or upgrade, especially given our next round is at Pukekohe which features a lot of concrete walls. Over the last year I have gradually been refreshing my safety kit, first it was replacing my tatty 2 layer suit with a new 3 layer, gloves and more recently I took the plunge and bought a new Stilo Helmet and Simpson head restraint from Aaron at harrisraceradios.com (they were great to deal with and the items turned up the next day). I don’t regret spending up on Safety gear as unlike a 2KCUP car everything I have spent on gear hasn’t been lost by changing to a different racing category. I’ll be racing my Swift DB4 (Formula Atlantic) at NZFMR this weekend (part of the reason I hadn’t got around to doing the newsletter until now), feel free to come say hi but apart from that I’ll see you all at the next 2KCUP round below or maybe the HRC 2KCUP Twilight listed at the end. Entry for round 4 is up at motorsportentry.com under “Rumble in the Park 2017” with entries closing on the 6th of February. The inaugural Rumble in the Park at Pukekohe Park on 11th and 12th February promises something for all grass-root motorsport fans. There is a Swap meet both days organised by Meremere Drag Raceway and Pukekohe Hot Rod Club. Here is your chance to find that elusive part, catch up with old mates or just window shop. Supporting the Swap meet, there will be plenty of motor sport action on the circuit both days to keep all entertained. On Saturday, the HRC are holding 4th round of 2K Cup as well as Mini racing, then followed later by the first of its kind at Pukekohe circuit – Roll Up Drag Racing. Then on Sunday starting at 730am, there is Power Cruise Brekkie and lap of the circuit for the Hot Rods, followed by Open testing sessions just for the Hot Rods. Plus there will be a Tiger Moth display landing and taking off in the middle of the Park, surrounded by classic cars. With admission only $10 for both days, camping available ($20) , swap sites only $20 plus motor circuit action, this inaugural event at Pukekohe Park is not to be missed. Open Testing session is available for all those who want to test their car or driving ability on NZ’s iconic motor circuit. Swap meet will be sited on the paddock up the top of the Park, ensure you book your site, above. Limited spaces available. Run by HRC Events, this is the 4th round of 2K Cup’s 6th season. This is grass-root racing at its very best, where it’s about racing the car not the bank. If a member and you wish to compete in the round, click HRC Events here. Roll Racing is the latest form of Motorsport to hit Australasia, where you race another car from a rolling start (50 km/h) and drag race each other for 250 m, in a safe controlled environment without being busted. It’s open to all types of vehicles, as long it has a current warrant of fitness (or MSNZ log book) and the drivers have current driving license. This will be the first time this type of racing is held at the Pukekohe circuit. It’s a must watch! To participate and enter, select the option above. Hot Rod owners are invited to come for a hearty breakfast, show’n’shine and power cruise around NZ’s iconic Pukekohe circuit. To book your brekkie for you, your hot rod and passenger(s), select the relevant options above. 1230pm to 4pm: Hot Rod Open Testing session where the hot rods can really open-up and display their power in 4 x 15 minute sessions. To enter your car, select the option above. PLUS all Sunday Tiger Moth and Classic Car display in the centre of Pukekohe Park. 2 Hour Open Pit Lane session at Hampton Downs for 2KCUP’ers plus a BBQ.